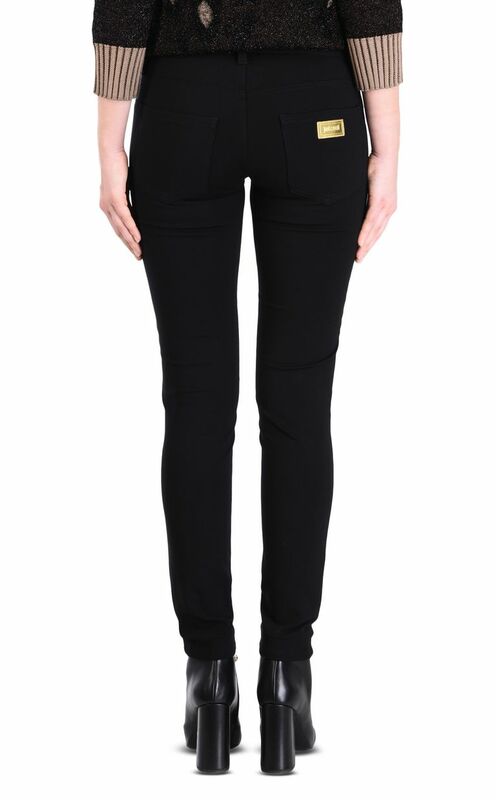 Women's trousers styled in 100% coated polyester. Styled in a high-shine fabric on the front set off by a contrast fabric on the back. Eyelet button and zip fastening. Featuring two side pockets and two back pockets. Slim fit.